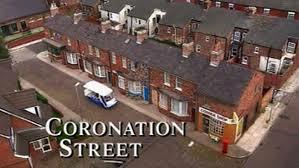 I was born in 1957, and Coronation Street began airing in the UK back in 1961. We moved around a lot when I was growing up. Over the years the various characters have been my companions wherever I have lived. People have come and gone in my life but the characters of Coronation Street have remained constant. One of the enduring qualities of Coronation Street has always been the believability of the characters on the street. Unlike American soap operas whose characters are drawn from the rich and beautiful, Corrie’s characters come in all shapes and sizes and are real, down to earth characters that most of us can recognize from our daily lives. Over the years I’ve laughed and cried with the inhabitants of Coronation Street. As I’ve watched the characters grow up, I’ve grown up. I’ve learned a great deal of wisdom from many of the old folks on the Street and learned a good deal of lessons from the trials and tribulations of many of the young people on the street. One of the things that I love about the show is that it is so character driven and knowing the characters as well as I do, I’ve come to learn that none of the characters is completely good or completely bad. The characters on this soap opera are like people in real life, they are complicated. Take Leanne Battersby for example, I can still remember the day she arrived on the street as a young teenager. Leanne was forever getting into the kind of trouble I could only dream of getting into. Yet over the years, no matter how low Leanne has sunk, there’s something about her that you just can’t help but love. There was a time a few years ago, when Leanne sank so low that she resorted to selling her wares in the oldest profession in the world. But not even when reduced to the role of a harlot, did she loose her ability to evoke empathy from the millions of us who worried about how she’d ever be able to come back from such horrendous circumstances. But these days, Leanne has given up plying her trade as a lady of the night and has married into street royalty and has become positively domestic. Over the years, I’ve often asked myself why I bother to watch this soap opera and I suppose that like millions of people around the world, I recognize my own life in the drama of the characters’ ongoing saga’s. For me, the appeal of Coronation Street is the ability of its characters to evolve over time, together with my ability to evolve in my understanding of these characters. The more I get to know a particular character, the better able I am to understand the hows and whys of the way they do the things they do and likewise our knowledge of how and why a character behaves helps us to understand the hows and whys of the way we do the things we do. The more time I spend in their company the more my knowledge evolves. Soap operas are nothing new. They’ve been around for centuries. For generations, people have looked to soap operas to figure out how the world turns. The Book of Hosea is an ancient soap opera complete with characters ranging from the bold and the beautiful, with episodes full of secret storms, and guiding lights. Many people miss the subtle nuances of the Book of Hosea, because as it appears in the Hebrew Scriptures, the archaic language of the script can be deceiving. But years ago, I once heard John Shelby Spong tell the story of Hosea, in a way that brought the script to life. So, even though these may not be your favourite chairs, and I can’t offer you a mug of hot tea, settle back and listen to a version of Spong’s version of the soap opera that is the Life of the Prophet Hosea. “Tongues must have wagged in Jewish social circles when the staid and respected holy man Hosea married Gomer, the party-loving youngest daughter of the old merchant Diblaim. Gomer was known for her dark and flashing eyes and her dancing feet. The tongue wagging was also driven by the fact that Hosea was an older and settled man while Gomer was much younger, one who loved the pace of the social scene and was thought of as overtly flirtatious. People wondered if such a union would last. Hosea, however, was obviously proud of his beautiful young bride and he vowed to do all he could to make her happy. “At first, things went well. Hosea seemed to find a whole new lease on life as he accompanied his wife to countless events where he basked in her popularity. The social pace, however, did not slacken after a year or so and Hosea began to yearn for the somewhat quieter life he had known before his marriage. Almost inevitably these realities brought tension into the relationship. From time to time Hosea wanted to leave a party sooner than Gomer, so a compromise was arranged by which he departed earlier and she was escorted home later by their friends. That tactic, though dangerous in that society, seemed to work well. When Hosea finally got to the place where he did not want to go out as often, a much more dangerous compromise was instituted. Gomer occasionally went to a party either with her friends or finally she ventured out alone. Over the years these occasions increased until they became the rule not the exception. An unescorted woman was almost unknown in Jewish society because it left her vulnerable and unprotected. This was especially so when that woman was by nature a sensuous and fun-loving person like Gomer. competitive profession and the day came when those seeking her services were no longer attracted at all. Gomer then descended to the final rung on the social ladder, becoming a slave and forced to work for the family that owned her in exchange for sustenance. Through all these downward spiralling years, Hosea kept up his search for the woman he had married and still loved. As the years passed, the search became less frantic, but it was always on his agenda. Hosea knew the ways of his world, so, after some years had passed, he limited his search to the slave markets, which were the only places that seemed to be her likely destination. Hosea’s was a lonely life. He knew not whether his wife was dead or alive. Then one day it happened. He found a slave market, where the usual riff-raff of society offered loud commentary on the human cargo placed on the block. Hosea moved into the crowd just about the time a woman was placed on the block for public inspection. Her hair was matted, her eyes were bloodshot and her face was lined, revealing the toll that the years had taken. The crowd was delirious in its derision, suggesting by their shouts that no one would be so foolish as to pay anything for this old bag. The slave master tried to ignore them while he sought in vain to secure a few shekels for this worn out specimen. The jeering crowd, however, was not silenced until Hosea, recognizing this woman as his wife Gomer, stepped forward and with a clear and audible voice bid fifteen pieces of silver for her. A momentary stunned silence greeted this bid while the crowd turned to see who had made this incredibly stupid offer. Fifteen pieces of silver was the top price that young, strong male servants would bring. Only someone significantly naïve or totally uninformed could have offered so absurd a price for this battered piece of flesh. The crowd’s abusive shouts now shifted quickly from this pathetic woman, who was little more than a tired, worn out, useless example of a slave, to the strange man who had made such an incredible bid to own her. This bidder must be blind or a fool, so they hurled their insults at him, profoundly unaware of the drama being acted out before their eyes. Taking no notice of their catcalls, Hosea walked forward, paid the offered price, took the woman by the hand and led her past the mocking bystanders until their words faded in the distance. When he reached his home with her, Hosea informed his household that Gomer was not a slave, but his wife and he installed her into the place of honour she had once occupied as the mistress of his household and the center of his affection. Hosea’s story was enjoyed down through the generations and enjoyed by audiences who saw in the story a vision of the Divine that they were beginning to understand. A vision of God that was evolving. The evolution of their understanding God’s character was driven by their various encounters with God. When I was much younger I had a visions of the character of God that was, to say the least, schizophrenic at best. Having only limited experience of God, I believed in a god was capable of great vengeance. God was mean enough to drive his, and I do mean his, because I believed in the old God the Father, who was mean enough to drive his own creations out of the garden. A God to be feared who was willing to smite the enemies of the people. My vision of God was much like the God who was willing to order Saul to commit genocide, by killing all of the Amalikites. My vision of God was that of a character who was harsh and unforgiving, concerned with nothing but judgment, so much so that he wasn’t beyond exacting vengeance, a God who somehow mellows with the birth of his only son. As a child, I think I actually believed that Jesus somehow managed to mellow God; to soften him up so that he would forgive us. Later as an adult I was taught to believe that the God of the Old Testament was indeed harsh, but that was because the Jewish people didn’t know Jesus because if they’d only listen to Jesus they’d see that God has this gracious, compassionate, even loving side. It’s taken a lot of unlearning for me to understand how anti-Semitism has played into my own notions of God. Marcus Borg has defined religion as humanity’s response to our encounters with the divine. The divine is our way of speaking of that which is wholly other, beyond ourselves, the mystery that we cannot fathom. Over time, our encounters with the divine have shaped our responses to the divine. But that evolution is not linear. You can’t just start at the beginning of the bible and say here in right here in the book of Genesis, we have the primitive understanding of God, and here in the books of Samuel we have the militaristic understanding of God the avenging genocidal maniac and then hear in the New Testament you have a more sophisticated understanding of God as the loving, gracious, forgiving, peaceful God that Jesus knew intimately. For just as the character of God is infinitely more complex than time itself, humanity’s responses to our encounters with the divine are complex. Even in the book of Genesis we see a vision of God that is capable of creating all that is, and also of being silly enough to hope that humans can rise above the muck and the mire of survival on this planet long enough to live in peace. In the books of Samuel we see the vision of a jealous vengeful even genocidal god, who is tender enough to hear the pleas of Hannah whose desire for a child tugs at the heartstrings of God who blesses Hannah with the gift of Samuel, whom God goes on to call as a prophet. Indeed in the soap opera that is the Book of Hosea, written more than 700 years before Jesus appears on the scene we see a vision of a God of such tenderness that this god is seen in the compassion a lover shows for his beloved. Hosea reaches out to love and even to rescue his wife from the consequences of her own decisions, though by the standards of that day, she would have been judged as not worthy of such a response. Here some 700 years before Jesus, we see a vision of God portrayed as selfless love providing a doorway into transforming forgiveness. We also know that the idea of God being defined as selfless love brought a whole new dimension to the meaning of worship, for the Jewish people. The soap opera that is the Book of Hosea, counters the anti-Semitic Christian rhetoric of the ages that suggests that the Old Testament portrays a God of judgment while the New Testament portrays a God of love. Judgment is nowhere as severe in the Bible as it is in the New Testament Book of Revelation, which portrays eternal fire and flaming pits as the eternal fate that God has designed for sinners; and love is nowhere portrayed more profoundly than in the Old Testament Book of Hosea, where personal pain is turned into a new understanding of the limitless love of God. God does not change over the course of time, but the human perception of God is ever changing and in the Book of Hosea a new breakthrough into the meaning of God was achieved. Our response to our encounters is ever evolving and so we are able to see the Book of Hosea reflected in the story of Jesus of Nazareth. When the gospels were written that understanding of love permeated every verse. Jesus was portrayed as praying for his tormentors and giving his life and love away even as people thought they were taking it from him. The message of Jesus that the gospels sought to convey was very clear: There is nothing you or I can ever do; nothing you or I can ever be that will separate us from the love of God. We have the freedom to evolve. Just as the religions of the world evolve in their responses to encounters with the divine, we as individuals have the freedom to evolve in our understandings of our encounters with the divine. Our relationships with the divine can never be fully reflected in the stories we tell. The stories we love about God, like the soap operas we love, are but pale reflections of reality. We can learn from them, but we must not worship them. We must not turn our relationship with the divine into an exercise of believing in the stories about the divine. Our relationship with God is diminished when we reduce it to a list of required beliefs. Our relationship with God is not about believing in God. It is about loving God. Loving relationships are complex and when they are healthy they are always evolving. Evolution is a complicated process, a process not bound by time. Since Darwin we have tended to think of evolution in terms of how a species physically evolves over time. Relationships are more complicated than that. Moments of inspiration happen and are lost. Visions are vivid and transforming for an instant and then forgotten only to be rediscovered years later. Wisdom can be found in the ancients and so can foolishness. Love burns passionately and settles down into the routine of daily life. It can even be lost over time in misunderstanding and bitterness only to be rekindled by an act of tenderness, or a passionate embrace. Let our responses to the Divine live and breath and dance in with and through us so that our love in all its complexity can evolve as we see God in new and glorious ways reflected in the lives we live. There’s another little gem from Marcus Borg that, I will leave you with. Believing in God is one thing, loving God is something completely different. Marcus Borg reminds us that, before the year 1600 the verb “to believe” had a different meaning than it does today. Before 1600 the verb “to believe” did not mean to believe something to be true. Back then object of the verb was not an idea, statement or a theory, but always a person. To say that we believed someone meant that we trusted them, felt loyal to them and loved them. Borg says, “Most simply, to believe meant to “belove.” These days believing is all about buying into certain ideas, statements or theories.If someone’s ideas, statements of theories differ from ours, the love gets lost. When we say “I believe you” in the pre-1600 context, it adds another wonderful layer to a relationship. We don’t just believe what a person is saying in a particular instance, we belove them as a whole person. Imagine how your own relationship with the divine might evolve if you stopped worrying about believing in God and began to belove God. What might it look like in your life to belove the God that lives and breathes and has Being in with and through you; in with and through your neighbours? in with and through creation itself? If religion is our response to our encounters with the Divine, then let our response be about beloving the Divine. This entry was posted in PONDERING PASTOR, Progressive Theology, SERMONS, STORIES, Theology and tagged Bishop John Shelby Spong, Coronation Street sermon, emerging church, evolutionary christianity, John Shelby Spong, Leanne Battersby, Lutheran sermon Hosea 11:1-11, Marcus Borg, progressive christian sermon, progressive Christian sermon Hosea 11:1-11, progressive christianity, prophet hosea, religion, spirituality, theology by Rev. Dawn Hutchings. Bookmark the permalink.